New and Noteworthy---- Did Blundering Politicans Make The Civil War Inevitable? "Reading these two books together with an eye to Civil War scholarship is in a way an exercise in déjà vu. For these volumes offer versions, if attenuated and nuanced ones, of the old historiographical debate between those who held that the Civil War was an "irrepressible conflict" and those who argued that it was a "blundering generation"--not underlying sectional differences or grand forces--that caused the war. But besides the persistence of this debate, there is no way in which reading these two volumes feels like being caught in a time warp. 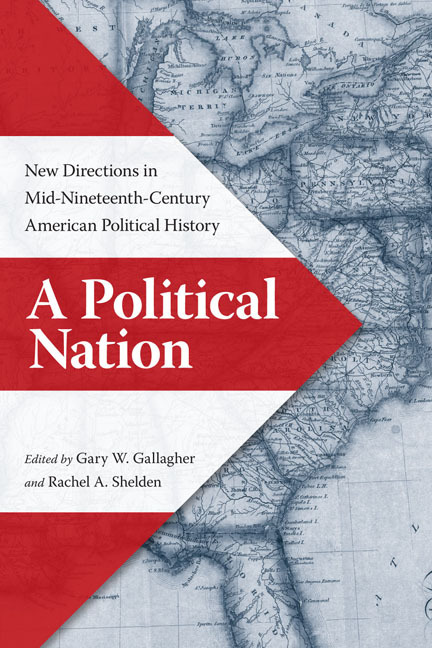 For all their appreciation for traditional political history, both books, especially Gary W. Gallagher and Rachel A. Shelden's edited collection, draw productively on and model the latest developments in American political history." "Though very different in origins, purpose, and nature, these two books will in their own way provide current and future scholars of the politics of the Civil War era with plenty to consider and discuss." This combined review of these two books is continued at H-Net Civ War. A Political Nation: New Directions in Mid-Nineteenth-Century American Political History, Gary Gallagher and Rachel Sheldon, editors, University of Virginia Press, 272 pages, $40.00. 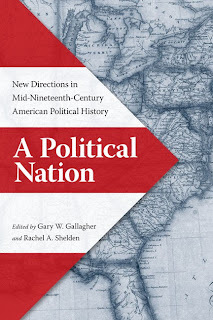 Publisher's Description: This impressive collection joins the recent outpouring of exciting new work on American politics and political actors in the mid-nineteenth century. For several generations, much of the scholarship on the political history of the period from 1840 to 1877 has carried a theme of failure; after all, politicians in the antebellum years failed to prevent war, and those of the Civil War and Reconstruction failed to take advantage of opportunities to remake the nation. Moving beyond these older debates, the essays in this volume ask new questions about mid-nineteenth-century American politics and politicians. In A Political Nation, the contributors address the dynamics of political parties and factions, illuminate the presence of consensus and conflict in American political life, and analyze elections, voters, and issues. In addition to examining the structures of the United States Congress, state and local governments, and other political organizations, this collection emphasizes political leaders—those who made policy, ran for office, influenced elections, and helped to shape American life from the early years of the Second Party System to the turbulent period of Reconstruction. The book moves chronologically, beginning with an antebellum focus on how political actors behaved within their cultural surroundings. 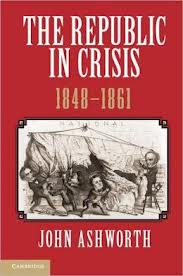 The authors then use the critical role of language, rhetoric, and ideology in mid-nineteenth-century political culture as a lens through which to reevaluate the secession crisis. The collection closes with an examination of cultural and institutional influences on politicians in the Civil War and Reconstruction years. Stressing the role of federalism in understanding American political behavior, A Political Nation underscores the vitality of scholarship on mid-nineteenth-century American politics. "Separately and together, these essays make a persuasive argument for a return to traditional political history. Each contributor in the collection draws on the best of the extant literature in his or her field/bailiwick, synthesizes it, and suggests either new avenues for exploration or ways to think about and bring coherence to a field (political history) that has become fragmented if not diffuse. Incredibly well written and accessible," Michael A. Morrison, Purdue University. The Authors: Gary W. Gallagher is John L. Nau III Professor of Hisgtory at the University of Virginia and most recently the author of The Union War. Rachel A. Shelden is Assistant Professor of American History at Georgia State College and State University. 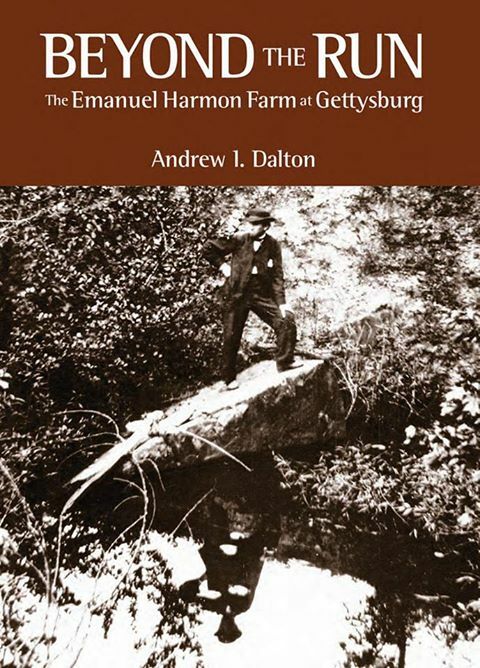 Beyond The Run: The Emanuel Harmon Farm At Gettysburg, Andrew I. Dalton, Ten Roads Publishing, 126 pages, 14 maps, 97 illustrations, 3 appendices, end notes, index, bibliography, $11.95. The Emanuel Harman Farm property, located on Gettysburg's July 1 battlefield, is now protected as part of Gettysburg National Military Park. The Gettysburg Country Club and Golf Course went bankrupt a few years ago and the Adams County Conservancy purchased it.Situated between the Chambersburg Pike and the Fairfield Road, and bordered on the east by Willoughby's Run, the farm today is bisected by the Old Mill Road. It became the Confederate assault path for the brigades of Archer, Brockenbrough, Pettigrew, Scales, Lane, and Perrin as they engaged Gamble's, Stone's Meredith's and Biddle's brigades. Andrew I. Dalton in Beyond The Run: The Emanuel Harmon Farm At Gettysburg relies upon the Gettysburg National Military Park's library holdings, in particular the Harman Farm reports of Kathleen G. Harrison, Donald R. Heiges, Jacob M. Sheads and many letter collections. He has consulted the manuscript collections of the Adams County Historical Society, 16 assorted newspaper archives, and dozens of books and articles. The farm's history is told in well organized segments: the 1790-1863 farm, the July 1863 battle and destruction of the farm, the 1865-1947 Katalysine Springs Bottled Water and Hotel industry, and the 1947-2011 Country Club of which President Eisenhower was a member. Beyond The Run: The Emanuel Harmon Farm At Gettysburg's strengths include its reliance on Amelia Harman's recollections of watching the battle, being ordered from the house as it burns, and her reliance upon Confederate charity during July 2-4. Confederate soldier's recollections of their assaults through the farm and across Willoughby's Run are frequently offered. Dalton offers an insightful description of post-battle and post-war Gettysburg whose residents quickly embraced visitors to the historic fields. Overall, Dalton's work is a fine example of local history done well. 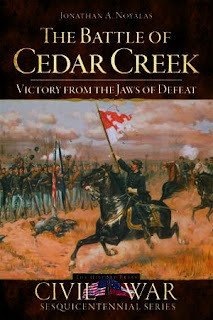 The Battle of Cedar Creek: Victory From The Jaws of Defeat; Jonathan A. Noyalas, History Press, 125 pp., 32 illustrations, 3 maps, bibliographic notes, index, $19.99. Fought October 19, 1864, Cedar Creek was the culminating battle of Confederate general Early's Shenandoah Valley Campaign. During the summer of 1864, the Army of Northern Virginia was being besieged at Petersburg and Richmond, Virginia and the Shenandoah Valley had been invaded in May. Lee sent the army's Second Corps under the command of Jubal Early to force the Federals from the valley and invade Maryland again for the third time. Early drove the Federals out of the valley and advanced into Maryland during the first days of July. Grant sent troops to Washington D.C. to turn back the threat and then a month later sent additional troops under the command of Philip Sheridan to again invade the Shenandoah Valley and thoroughly route Confederate forces there. 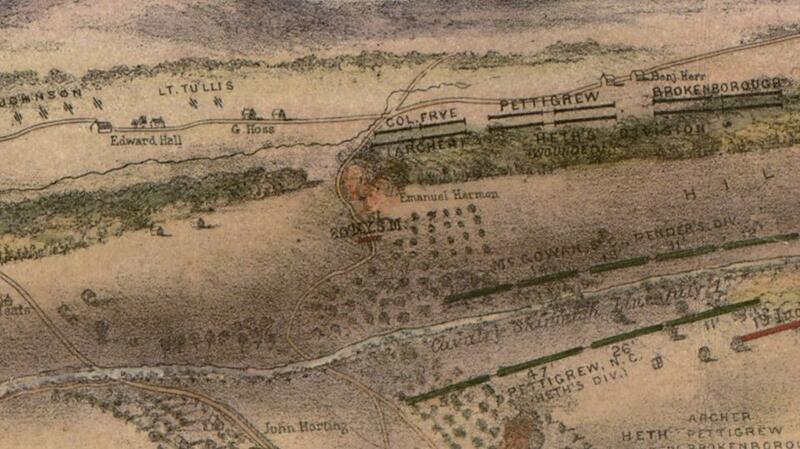 After a defeat at Fisher's Hill during September, Early's army appeared to be routed. The North Fork of the Shenandoah River, the 2,900 feet peak of Massanutten Mountain and the environs of Strasburg were shields to hide a dawn attack by Early's troops on October 19. 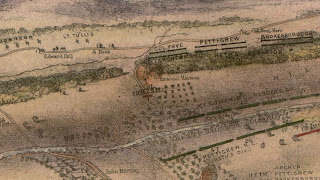 During the dawn to noon fighting, seven Union infantry divisions were forced from their camps and retreat several miles. Numerous prisoners and cannons were captured. The assault began to deteriorate after the capture of the camps and before the assault enter Middletown. John Noylas' The Battle of Cedar Creek: Victory From The Jaws of Defeat is a fine, though brief, introduction to the battle. Those who are quite familiar with the engagement will note the minimal descriptions of Gordon's night march over the north side of Massanutten Mountain and of the construction of the Federal earthworks. Strengths of the book include the last two chapters. Chapter 5 describes the differences between the actual and culturally enhanced story of Sheridan's Ride. Chapter 6 describes the post-war gatherings on the battlefield of the veterans who had fought there. Two of the three maps are by Blake Magner and are clear and uncluttered. Noteworthy is Noyalas' reliance of soldiers' accounts of the fighting. 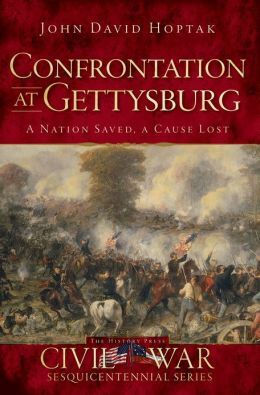 Confrontation At Gettysburg: A Nation Saved, A Cause Lost, John David Hoptak, History Press, 285 pp., chapter notes, 80 illustrations, 17 maps, order of battle, selected bibliography, index, $16.99. Written for a broad market of those with American Civil War interests, Confrontation At Gettysburg: A Nation Saved, A Cause Lost is a clear and concise telling of the campaign and battle. It does not offer just July 1, 2,3 but the entire campaign from mid-May to mid-July. One of the strengths of Confrontation At Gettysburg: A Nation Saved, A Cause Lost is that it is thorough within its page limit. Recently, Allen Guelzo covered the campaign in 800 pages. Hoptak has written a well paced and colorful account that provides the essential facts and the compelling details of the campaign. The illustrations include photographic portraits, pen and ink sketches, black and white newspaper illustrations and renditions of paintings,. Maps by Hal Jespersen and Mannie Gentile are distinguished by precision and clarity. Hoptak moves the story forward with both familiar and unique quotations by the participants. He has crafted a narrative that is similar to a well led tour of the battlefield. Confrontation At Gettysburg: A Nation Saved, A Cause Lost will likely stand the test of time and be in print for years after the sesquicentennial. 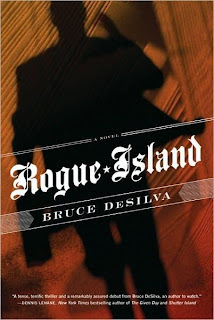 Rouge Island: A Novel, Bruce DeSilva, Forge/Tom Doherty Associates Publishing, 2010, 302 pp., $24.99 hardcover, $14.99 trade paper cover. From The Publisher: Liam Mulligan is as old school as a newspaper man gets. His beat is Providence, Rhode Island, and he knows every street and alley. He knows the priests and prostitutes, the cops and street thugs. He knows the mobsters and politicians--who are pretty much one and the same. Someone is systematically burning down the neighborhood Mulligan grew up in, people he knows and loves are perishing in the flames, and the public is on the verge of panic. With the police looking for answers in all the wrong places, and with the whole city of Providence on his back, Mulligan must find the hand that strikes the match. From Publisher's Weekly: DeSilva's lengthy career as a reporter for the Providence (R.I.) Journal has provided him with the writing skill and the in-depth knowledge of city room and cityscape so well displayed in this strong debut crime novel. It's also allowed him to create a totally believable protagonist in Liam Mulligan, a beleaguered journalist seeing his old neighborhood being destroyed by arson and his newspaper by reader disaffection. Mulligan's first-person narration is filled with emotion, not the least of which is his love-hate relationship with his city and state. And there are suspenseful moments of high tension. CWL: DeSilva's writing style is short, quick and to the point, with lots of dialog and very few descriptive paragraphs. The author develops characters in their conversations. The settings are a newspaper's offices, bars, grocery stores, fire engine houses, cars, police interrogation rooms and bedrooms. Rogue Island accurately describes the slow demise of a metropolitan newspaper and a mill town. The main characters are interesting and somewhat unique. Rogue Island is detective fiction in which the detection is performed by a print news writer. Overall, a second novel with the same characters would be welcomed.